April 10th 2019 is the first day of the Club Membership Season! Play as often as you want. Customer Number and/or Club Membership? The Club Membership however comprises various offers. Club Members can – according to their membership – play every day (or on weekdays 7 am to 5 pm) as much as they like to. What needs to be done to become a Club Member? Just drop by at the reception and we will draw up an invoice for you. Is it possible to start at any given time? Yes, whenever you feel like it. Where is it allowed to play? 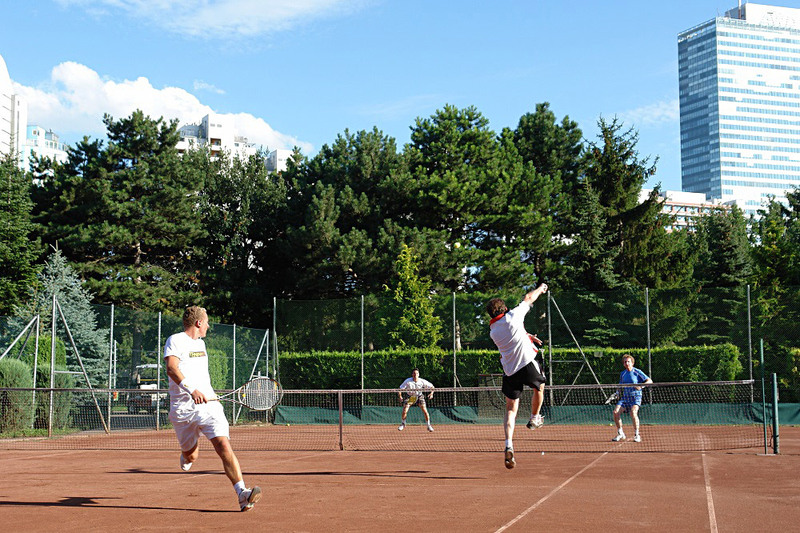 The Club Membership applies to outdoor tennis. The courts 1-5 are reserved for Club Members. Should those be already booked, one can change to other available outdoor courts. If the weather is bad, Club Members can book indoors for the reduced price of 8 Euro/hour. How does the booking of the tennis courts work? Club Members have an own group of tennis courts (1-5). For the process of booking to be as fair as possible, one can not reserve courts in advance by phone or mail. Just come over and let your name be entered in a day-to-day-list at the reception. Club Members are allowed to bring guests to play. Those guests have to pay 8 Euro per hour – the amount can, if existing, be charged off a prepaid card. Basically, there are two membership groups. In addition to that we also offer a variety of reductions. As a Club Member the parking prepaid card is 11 Euro (instead of 16 Euro) worth 24 Euro. Also, Club Members can rent a personal locker for only 30 Euro/Season in the privat lockers area. Call us (01 269 96 30) or drop by. We gladly inform you about the Club Membership and further reductions!